Jeep Certified, LOW MILES - 27,530! EPA 26 MPG Hwy/18 MPG City! Heated/Cooled Leather Seats, Navigation, Back-Up Camera, Premium Sound System, iPod/MP3 Input, Satellite Radio, Power Liftgate, TRANSMISSION: 9-SPEED 4WD AUTOMATIC CLICK ME! 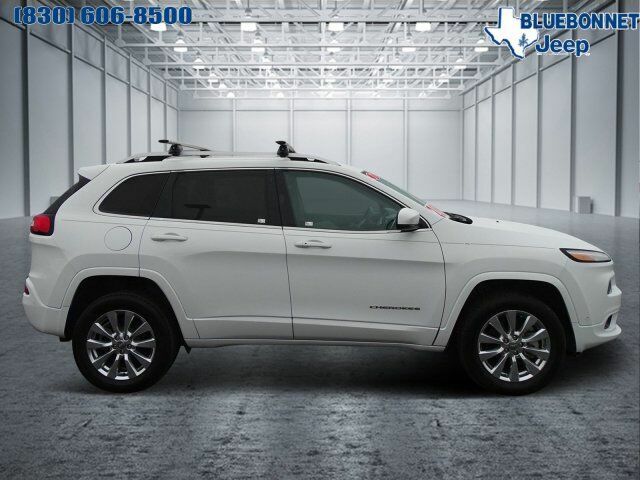 Leather Seats, Navigation, 4x4, Power Liftgate, Heated Driver Seat, Cooled Driver Seat, Back-Up Camera, Premium Sound System, Satellite Radio, iPod/MP3 Input, Onboard Communications System, Aluminum Wheels, Remote Engine Start, Dual Zone A/C, WiFi Hotspot. Rear Spoiler, MP3 Player, Keyless Entry, Privacy Glass, Remote Trunk Release. TECHNOLOGY GROUP Lane Departure Warning Plus, Auto High Beam Headlamp Control, Parallel & Perp Park Assist w/Stop, Rain Sensitive Windshield Wipers, Adaptive Cruise Control w/Stop & Go, Advanced Brake Assist, Full Speed FWD Collision Warn Plus, TRANSMISSION: 9-SPEED 4WD AUTOMATIC 2 speed PTU, Active Drive II Badge, Electronic Range Select, Jeep Active Drive II, 3.52 Axle Ratio, Hill Descent Control, ENGINE: 3.2L V6 24V VVT W/ESS Pentastar (STD). Edmunds.com explains "The Cherokee also features one of the better backseats in the compact crossover class. Not only does it recline, but it also provides for fore-and-aft adjustment, and the high-mounted bench supports adults' thighs without pushing their heads into the rafters.". Great Gas Mileage: 26 MPG Hwy.